This week has been SO incredibly busy, sorry for not posting!! I promised my readers that every Friday I would post something fun and cheerful-it is a Friday!! And with Valentine’s Day coming soon, I figured I would share something so amazing!! Now this post isn’t about me, but I thought I would share it since one of my Zeta sisters shared it with me!! I hope everyone has a wonderful weekend and a fabulous friday!! 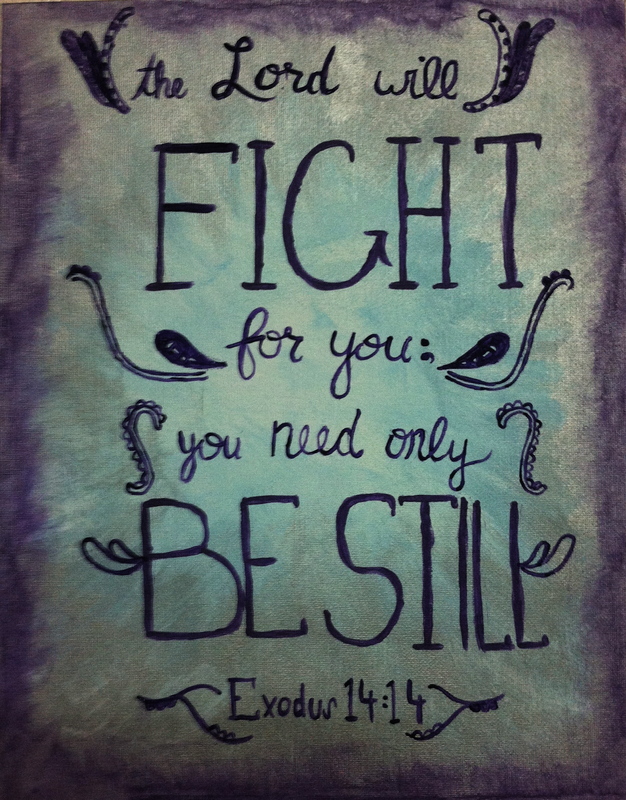 I’m leaving you with a canvas I painted a while back with one of my favorite verses, Exodus 14:14. Enjoy! Posted on February 8, 2013 by flancake13	This entry was posted in Friday I'm in Love. Bookmark the permalink. ← Saturday Shenanigans! Eventful Crafternoon.